Now is the time of year when a lot of younger drivers get a new ride. Teens are graduating and going to college, or if they’re really lucky, heading to their last years of high school in a car for the first time. 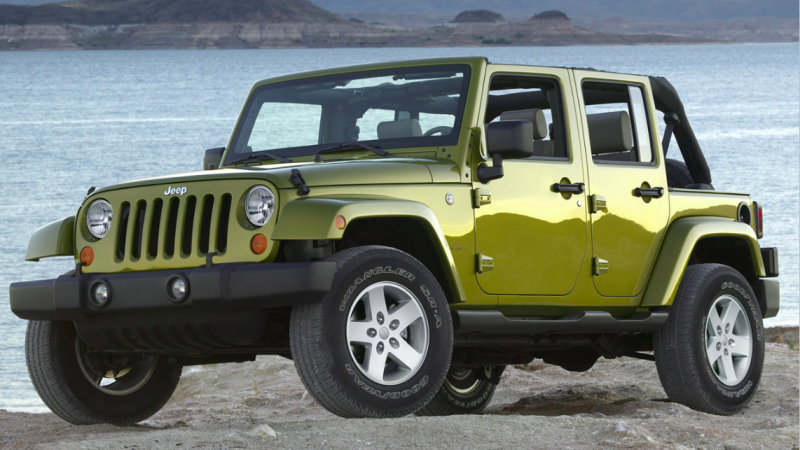 You see a ton of “Best Cars For New Grads” articles out there, and while those lists are always debatable, one car you should try to avoid is also one younger drivers often gravitate toward the most: the Jeep Wrangler. The Wrangler is a cool, iconic car. Everyone knows it. 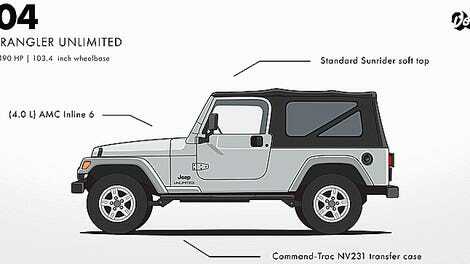 It’s also a “classless” car, meaning that people from all walks of life can all find something to love about the Jeep. If you are a serious off-road enthusiast, it’s hard to beat the Wrangler’s capability for its price point. If you’re interested in customization, the Wrangler has a ton of easy to install options available. And if you just wanna cruise and look cool, it’s hard to do better. I’ve spoken to a number of parents who, at first, thought the Wrangler was a perfectly appropriate car for a 17-year-old driver. Their reasoning usually falls along the lines of it’s big, it’s sturdy, it’s good in the snow, and it’s not too fast. The teen thinks the Wrangler is “lit” and the parents think it’s “safe,” so it should be a good match, right? Plus, more and more, parents are looking to new or almost new cars instead of used beaters for kids. The latest, recently updated Wrangler or even the JK series Wrangler that preceded it, would fall within that budget range. “In the past, families generally looked for the oldest, largest and cheapest car possible — “slow, big and ugly,” said Alex Epstein, director of transportation safety at the National Safety Council, a nonprofit group. But if you’re a parent helping a novice driver find their first car, you should probably look elsewhere than the Wrangler. When a young person is put in a car like this, you have a bad combination of a novice driver with slower reflexes due to a lack of experience and a larger car that will react slower to emergency inputs. A US News And World Report article cited the Wrangler as one of the most dangerous cars for teens due to its rollover risk. The sad reality is, according to the CDC, automobile accidents are still the leading cause of death among 16- to 19-year-olds. That’s been the case for a long time. Of course, this is where many of you jump right to the comments and talk about how you did just fine in whatever beater, death-trap you drove as a teenager. But you got lucky, and I bet every one of you has a story about another young person who wasn’t so fortunate. The best way to survive an accident is to avoid one in the first place. While the Wrangler can be a blast at low speeds, on off-road terrain, on the highway it drives like a giant brick. The Wrangler is a vehicle with a high center of gravity, a rear-wheel drive bias, and not as agile for emergency maneuvers on the pavement as others. Our friends at Consumer Reports have a great list of solid and safe cars for teens at a variety of price points and there are even some “fun” selections in their like the Volkswagen Golf, Mazda 3, and Kia Soul. And for similar money to a used Wrangler, parents can buy any number of used crossovers. While they might not be as cool, it’s possible to get an alternative like a 2015 Mazda CX-5 that is rated a Top Safety Pick by the IIHS. Some make the argument that we should be fostering auto enthusiasm among young people rather than saddling them with a boring and “safe” car. As a parent and a car enthusiast myself, I’d argue there are other ways to encourage your kid to be into car than buying them something that could get them into serious trouble. They have the rest of their life to get a fun car when their income and their experience are better matched. For now, we should just make sure our kids survive those very early years of driving.